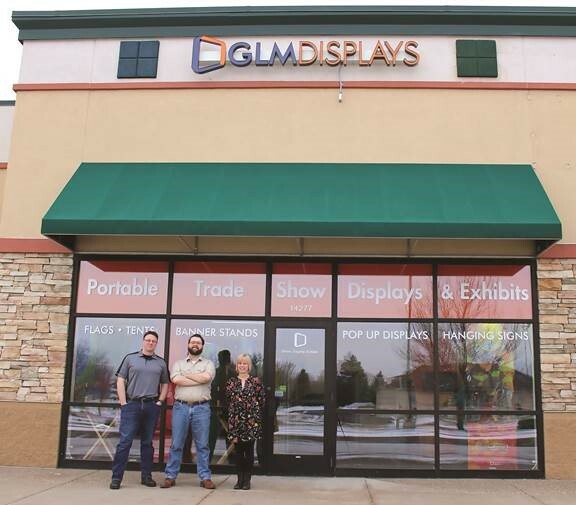 GLM Displays was created in fall of 2008 and has been slowly growing since then. The goal was simple; to provide a wide range of services and products so that we could help our clients find the best solution for their needs and their budget. We are able to do this by partnering with a variety of wholesale printers and manufacturers that we've worked with over the years. By carefully selecting the right suppliers, it enables us to provide all the services that our clients need with extremely competitive prices. We help our clients with their trade show displays, retail signage, promotional items and much more. Although this website is designed for e-commerce, we encourage you to call or email with your questions. We believe in the relationship more than the sale. If we can’t provide the best solution for you, we will gladly recommend someone who can. We want you and your business to stand out from your competition and that’s what makes us stand out from ours. P.S. We've been asked many times what “GLM” stands for. Founder and owner Matthew Lunser named it after his three children at the time in reverse order, Gabe, Lucy and Max. Since 2008, he and his wife have had two more children; Samuel and Chloe however no changes to the company name has been discussed. Matt began working in the large format print industry in 2001 in the production department of a fairly well known facility in Minneapolis. he soon became the manager of the finishing department where he made custom signage and displays for both the retail and trade show environment. He later went on to the world of sales where he learned a great deal about business and customer relations. Alex is an artist in many senses of the word. He graduated with an Associates degree from a business school in 2012, and then made the jump to St Cloud State to complete a Bachelors degree in Graphic Design and Interactive media. He landed with us at the end of 2017 since he was looking for something with more creativity and freedom than just doing one simple task at a time. He loves web design and can pre-flight art with ease since due to his extensive training as a designer. Keisha takes your order and stays with it one step at a time, making sure everything is in it's proper place. She keeps everyone on track and on task to make sure nothing is missed. If you have questions on where your order is, she's the person to know.